Congratulations to our PURE Yoga Institute Graduating Class of July 2018! Each trainee successfully completed our nine-week teacher training and are 100% podium ready. Colleen and Jessica have been teaching regularly in Austin, TX, and Marsha is thriving and teaching in the Virginia and Washington, DC area. Monica goes home to Yoga Tribe Brooklyn and will teach there regularly while she attends graduate school. Click on their names to find out more. Meet our PURE Yoga Institute Class of July 2017 graduates. Each trainee successfully completed our nine-week teacher training. 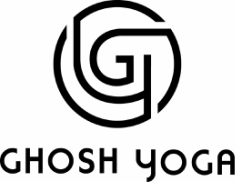 They have gone on to teach in Austin, Dallas, and Chicago and have each achieved the OHY Association Level 1 seal as a Certified Hot Yoga Teacher. Click on their names to find out more.